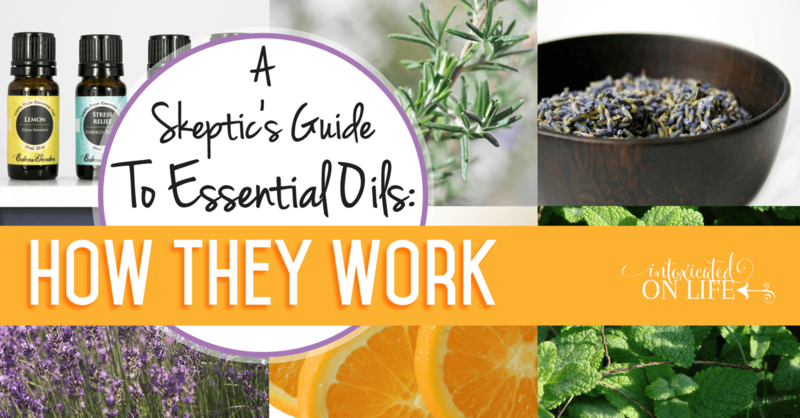 This is my skeptic’s guide to essential oils, with a focus on how essential oils work. I’m a skeptical person by nature. I’m sure I’m not alone when I say that I have had trouble getting on board with the use of essential oils. 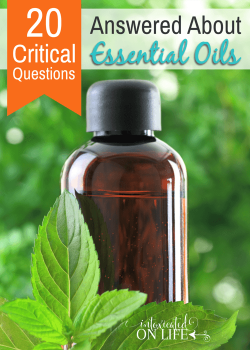 There is so much conflicting information and a variety of opinions on essential oils; how do I possibly navigate them all? Are they just a fad or a scam? Why haven’t more studies been done on them? What about the safety issues? How do I resolve the conflicting information on purity and application? Bottom line: I am interested in my family’s health, and I like the idea of doing so more naturally, but I don’t want to waste my time or money. My first real exposure to essential oils was through my cousin. She generously gave me a little pack of essential oils to try out and some information to get me started. When I finally got around to it, I had a big win when I applied lavender and melaleuca for some ear discomfort I had. It was gone so quickly! I was convinced to at least give essential oils a shot, but I had a lot of questions and reservations to address first. Join me on my journey as I dive into the world of essential oils and document the ride. I won’t have all the answers, but you’ll get an honest take on the issues. My goal is not expert knowledge, but to become informed enough to decide whether or not essential oils are a reasonable long-term health and wellness practice in our home. Please note that I do my research as best I can with the time and resources I have. I also try to weigh a variety of sources, which are listed at the end of this post. What follows is the information I find most reliable and useful to me thus far. 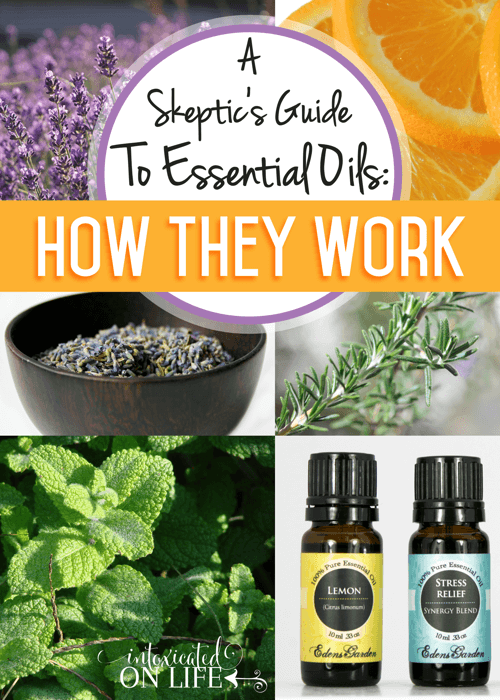 So, take a grain of salt and let’s get started with my guide to essential oils! A Guide to Essential Oils: What are Essential Oils? Essential oils are extracted from plants using a variety of methods, usually with distillation or expression. An essential oil has the “essential” aromatic and chemical properties of that plant. 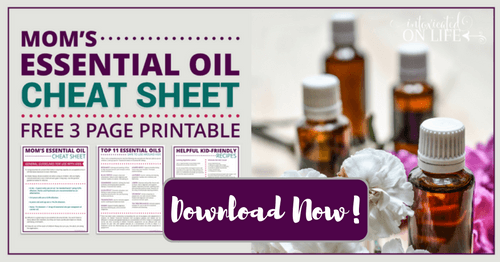 A Guide to Essential Oils: How Do Essential Oils Work? There is not a great amount of rigorous modern academic research or clinical studies on the function and effects of essential oils. Most clinical studies have to do with topical application or the effect of aroma on moods in ill patients. What follows is certainly not a complete description of how essential oils work. However, I am able to piece together information that is helpful to me. Essential oils are made up of minute molecules that are very easily absorbed. Each oil has a unique chemical composition of terpenes, esters, oxides, alcohols, phenols, ketones, and aldehydes. These components interact with bodily systems, and depending on the essential oil support various systems of the body. Some argue that there is more to essential oils than just their chemical composition—that the integrity and handling of the oil also has an impact on it’s effectiveness. I have not yet looked into this claim. .
Aroma. When you smell an essential oil, cilia and receptor cells in the olfactory organ receive the aroma and send signals to the limbic system of the brain, which is the center of memory and emotion. It also is connected to areas of the brain that control blood pressure, heart rate, breathing, hormone balance, and more. Absorption. When essential oils are absorbed through the skin or lungs, they enter fluids and are distributed throughout the body, where their chemical constituents can interact with other bodily systems. Essential oils are used by topical application, inhalation, or ingestion. How an essential oil should be used depends on the goal of use, the properties of the oil, and safety concerns. Depending on the desired effect of the oil, people will often use a combination of delivery methods. Safety Issues. With all of these applications, it’s important to research into proper use for each essential oil, especially for children and pregnant and nursing mothers. Topical Application. Essential oils can be applied to the skin, which is somewhat permeable, to be absorbed into the blood stream. Some areas of skin (under arms, head, palms, soles of feet, etc.) are more permeable than others. Warming or massaging the skin may also increase absorbency. Essential oils are most often applied to the skin along with a carrier oil such as coconut or olive oil, or as an ingredient in lotions and other beauty products. Some essential oils can be applied to the skin neat (alone without a carrier oil), although there seems to be some debate about the wisdom of that practice. Inhalation. When essential oils are inhaled, droplets of the oil are absorbed by the lungs. They can be inhaled by diffusing them in a special essential oil diffuser, a scent pod, humidifier, in a boiling pot of water, or simply by smelling the bottle of oil. The effectiveness of each of these delivery methods varies. An essential oil diffuser is expensive but seems to be the best method of inhalation. Ingestion. This is also a debated use of essential oils. Some argue that they should never be ingested while others ingest them all the time. The most balanced approach I have seen on this issue is to err on the side of caution, but that moderate and careful use after much research can be helpful. A Guide to Essential Oils: How Much Does Quality Matter? The quality of the oils used will impact their function and potency. Quality is indicated by how pure the oils are (if they are adulterated), grade (usually determined by processing method) and integrity (natural and from a single plant species). None of these factors are defined or regulated by a governing institution. In other words, if you see a purity/quality claim by a company, they get to define what that actually means and are not held accountable to an external standard. However, quality will have a big impact on how much you pay and who you buy your oils from. I want to give this aspect the time it deserves and will cover that in an upcoming post, so stay tuned! A Guide to Essential Oils: Are Essential Oils Really Effective? I hope my skeptic’s guide to essential oils was helpful for you. In all my reading and researching, there are many opinions and some of them are opposite extremes. There are camps that claim essential oils fix everything under the sun and could replace conventional care for all physical and mental health issues. Other camps dismiss the entire idea as a scam perpetuated by the ill-informed or by opportunists that are duping the masses. Who is right? I think a grain of salt is in order no matter what your reading or who you’re listening to. There are probably some success stories that are no more than placebo effect. I also don’t really buy into the “life force” properties many ascribe to essential oils. *dodges rotten tomatoes*. However, I do find it hard to dismiss the long history of essential oil use and the many groups and individuals who really believe in their effectiveness. Not to mention the information I learned above about their influences on the body. As for me, I’ve been convinced enough by my limited experience, the experiences of real-life people I deem reasonable and intelligent, and the research I’ve done so far, to take the plunge and make a good go of essential oil use in our home. Want to learn more about how to use essential oils? I made this HomeAid video guide, which is designed with YOU in mind. Enjoy! Interested in essential oils? Let’s talk! Click here to learn more about essential oils and how to find good-quality oils for your family. The Great Debate: Should You Ingest Essential Oils? I'm Tauna! This is me: Jesus follower, wife, mom, [domestically challenged] homemaker, homeschooler, and writer. Join me at Proverbial Homemaker, where I work to bring you encouragement and tools for the journey. Let us pursue God's call on our lives (no matter the learning curve) and rely on Him to equip us for the task! I LOVE essential oils for healthcare! In fact, my husband stayed home sick from work today and I made him a capsule with a couple of oils in it and his nausea/vomiting ceased very quickly. I also went to the doctor this morning for a follow up on labs and am now able to stop taking my cholesterol medication thanks to the essential oil regimen I have been on. I personally use essential oils and love them due to the high quality and their potent special blends. Thank you so much for covering this topic! I love when people find out that there is an alternative to tradition medicine. Thanks so much Jamie! Glad to hear essential oils have had such a wonderful impact on your health! Teresa, What company did you choose? I see the essential oil company on your pic for this article is Eden garden do u know anything about reputation prices are more affordable but not sure if that means poor quality. Is there a test you can do on oils to check quality. Yes, that is not an endorsement of Eden’s garden. 🙂 Just the image that was used. I don’t have any personal experience with it but was not overly impressed by the research I did on it. I am unaware of any way for an individual to test the quality of an oil other than to try it and see how effective it is. Some groups do testing on a variety of oils and, while they are interesting, there are some issues with the methods used. For example, a single test on any company’s oil may “pass” or “fail” the parameters depending on a variety of factors. Then the next time the same batch or a different batch from the same company will have different results. This is true of all the companies, as far as I can tell. But you’re only seeing the reported results of one of those tests, so it’s not the best data, in my opinion. The better companies have a variety of quality controls in place and perform third party testing. NAN, for example, tests all their oils and also has third party testing done. They rejected batches that don’t pass their standards. I am curious now if those third party testing providers make their results available to the general public in a usable format. Might have to look that up now! What is the shelf life of essential oils? I’ve been told they never expire, is this true? Essential oils naturally lose some of their potency over time. However, essential oils are very stable. We are currently conducting shelf life testing and have found no problems even after 5-10 years. Properly stored essential oils will maintain their potency for a long time! I totally agree with Jennifer. Once I got into my research, I found out there is a lot of research – solid, reputable research, that shows the efficacy and reliability of essential oils for just about every health problem under the sun. It boils down to this: God made the medicine our bodies need, told us where to find it and created it to work in our bodies in the most efficient possible way. Then man came along and said, “I can do a better job of creating medicine for mankind than God can”! Now, isn’t that just typical? However, as is usual with man made things, there are problems that just can’t be avoided – can you say “side effects”? I have cured every single problem that has popped up with this wonderful medicine, and have the wonderful assurance that if my [omitted] ever returns, Frankencense will handle it just fine, as is being shown in all the research being done everywhere except here in the U.S. where Big Pharma will not allow that to happen! The best way to overcome skepticism is to research, use trial and error aided by experienced users and let your faith and your good old American dogged determination by your guide. Essential Oils are God’s gift to us and we should be so thankful for it that we tell Him thank you every time we use a drop of it! I use both Young Living and Eden’s Garden and have compared oil for oil. I see absolutely no difference in the two! Eden’s Garden is less expensive because you buy direct from them. There is no multi-level marketing sales program to support, so they do not have to charge as much. Hope this helps! May I ask what your cholesterol regimen is? I would also like to know what oils you use for lowering your cholesterol. Thanks. I am curious about your cholesterol essential oil regimen too. Why wouldn’t you use, distribute, and recommend the best essential oils on the market today. Their certification means absolutely nothing. It is a trademarked label that they created. It is very misleading to their distributors especially. It only contains about 5% of the actually essential oil that you think you’re getting. VERY DANGEROUS! Look for USDA certification, which is the ONLY label you can trust and that is regulated. If you would like more information on which company i use and recommend to all of my clientele, i would love to tell you more on the PUREST essential oils on the market today. Hi Andrew! thank you for your comment. May I ask how you have come to know that some oils only have 5% of their actual oils in them?? thank you! You might want to do some more research. 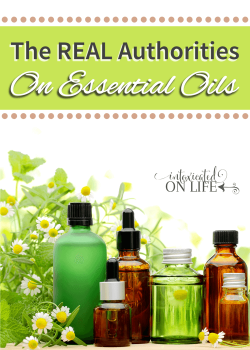 Even though EO companies claim you can, it is NOT SAFE to ingest essential oils. Améo Essential oils has a lot of oils you can ingest. Before believing that research their oils. I regularly use several of them in my tea and water. I use and distribute Ameo EO. I liked them both, but there is definitely a difference in aroma alone. Ameo oils are much stronger (just try the peppermint one versus the other and you will see). I suffer from a lot of headaches, and used comparable oils from both companies. Ameo oils worked for me….that is ONE reason I was sold. I believe the thought behind the statement was because the essential oils are SO concentrated (you don’t get anywhere near that much when eating food) there can be issues. There are numerous well regarded essential oil professionals who agree that essential oils should not ingest essential oils unless you are advised by a medical professional. Some oils have caused serious problems and can irritate the gut lining causing even more problems down the road. I’m not saying that one should NEVER ingest oils, but it should be done with much caution. What oils did you use to get off cholesterol meds? I’d like to try it. Can I ask what blend/combination you use to lower cholesterol? And how do,you use it? Thanks for following along Marisa! Don’t hesitate to ask any questions along the way and I’ll do my best to find a balanced answer for you! I too am very interested in learning more, and am new to the idea. I am so glad you are doing this research and sharing on your blog. I would like to know anyone’s experience with Young Living Oils. I’m about ready to take the plunge and purchase the starter kit. I don’t have experience with Young Living Oils but I just had dinner with a friend who loves them! Look up young life oils and find out the cultish Mormonism behind it. Not to sure , but some one explained it to me who works with the oils. I’m a missionary for 30 countries.i dont want to be spooky, but I have experience lots of their rituals the witch doctors in other country use them a lot, so do some research on the herbs behind them and pray over them. I would love to find some faith base oils. Mary…when you read articles on the internet about people make sure you are confident of the source…i am a believer & was skeptical about YL…it may not in the beginning been a company focused on God…but i can say now wholeheartedly that they do have a focus that God is the creator of all…i know people who have been around the founder & to the facilities & farms & prayer is huge there….Have you read Healing Oils of the Bible?…I do not believe that this company is Morman…i don’t see it…yes they are located in Utah…but so are others. there are always 2 sides to every story…i have & know many strong believers that now use Young Living & we are the better for it. The mormon church has nothing to do with Young Living. Young Living is a private company. Mary do you know the religion of the founders of EVERY product you buy out there on the market? Hah hah hahahhaaa!! Cultish Mormonism!! That is too funny!! As a life long member and convert to The Church of Jesus Christ of Latter-Day Saints, I can testify that we are in no way cultish. But, the assumption does make me laugh every time!! Witch doctor rituals….pppffftthhhaaaa! That is too funny! I too am learning about essential oils and I truly appriciate the research and effort put into this article. Thank you for that!! I would like to continue to find out your thoughts!! Me too Mary! A lot of the EO companies can list scripture or have claims about Biblical use, but they are not. What I have found is they ALL seem to deal with the New Age (occult/pagan) through aromatherapy, etc. I have done a lot of research on this. I have not been able to find even one company that does not have eo blends that deal with things like frequency, balance, alignment, chakras, energy, vibration, etc. These are all HUGE red flags of New Age beliefs. If you don’t know what chakras are, just google it. I wouldn’t touch those with a 10 foot pole. Stay away from things that claim to open your consciousness, do things to your mood, your mind, etc. It seems to be a very very fine line. So would I…faith based would be great! I’m a current skeptic of Essential Oils whose wife has begun looking into it. I suspect that DT was founded by Mormons, and it wouldn’t surprise me if YL was as well, but even though I’m a lifelong Mormon myself, that will have no bearing on whether or not we decide to buy/use their products. I think the differences of opinion between you and Cheryl about the LDS church boil down to some key issues. You would probably both agree that Jesus forgives of sins and gives eternal life (though you would likely describe what eternal life looks like very differently). But your differences are stark, and a lot of it boils down to terminology. 1. You are using a broader definition of “Christian” than Cheryl is. She is obviously reserving the label to those who stand within a mainstream of church tradition and belief, whereas you are using the term to describe those, like yourself, who have beliefs similar in form to other churches but would not agree with many of the orthodox creeds of the early church. For instance, the early Arians described themselves as Christians, but the mainstream church disagreed. 3. You are using the term “Son of God” differently that Cheryl is. Again, if Cheryl stands in the mainstream tradition, for her “Son of God” describes Jesus’ eternal generation from the Father: the Father communicates the whole, indivisible substance of the Godhead so the Son is the exact representation of God the Father. As you don’t believe in the Trinity the way Cheryl does, I don’t think Son of God carries the same meaning for you. 4. I understand the Book of Mormon is called another testament of Jesus Christ, but Cheryl would likely disagree with that claim. While it would be perfectly natural for an LDS member to call themselves “Christian,” seeing themselves as believing in an divinely inspired book that points to Jesus, Cheryl sees the Book of Mormon’s claims to be a total error. See this from another angle: if a religious leader came forward, claiming to be a prophet from Jesus Christ but making claims that directly contradicted the beliefs of the LDS church, even calling all other churches (including the LDS church) untrue, it seems like the LDS church would probably respond with concern that this “prophet” was not talking truth. That’s how Christians like Cheryl see Joseph Smith: he wasn’t just a Christian who thought differently than she does; he’s a false prophet who is making blatantly false claims. 5. 2 Nephi 25:23 seems to suggest that we only receive grace after we have done “all we can do.” But how much is that? How much do we need to do before we receive grace? Conceivably, I can look back on my life and see that I could have done more good than I did (and I imagine so could you). Does that mean we don’t receive grace? Does that mean no one receives grace? What happens to someone who does very little of what he can do—someone who commits their life to crime or hatred of others? Can they receive grace? What does the prophet Nephi actually mean here? I have just started using Young Living and was HUGE skeptic. A friend sent me some samples to make scar cream after having a mastectomy and I love the results. I toyed around with becoming a wholesale customer for a long time and then was exposed to the diffuser by another friend and the real research for me began. 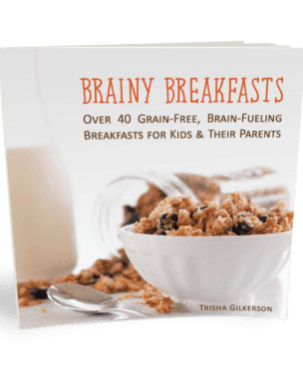 I was intrigued by all of the possible “solutions” for things that we deal with in our house and was happy to know that there were other alternatives to try besides running to the doctor. There are a couple of things in the first two months that I can report. Calmer children!!! I diffuse each afternoon a combination of lavender, frankincense and citrus (and a few other combos) and the house is so much more peaceful during that crazy time of the day. I am not claiming “magic”, just reporting on our experience. I also have a son on the autism spectrum that we have seen benefits with lavendar and frankincense with him at bedtime and times when he needs calming. I have had a perpetual scratchy sore throat on and off for the last couple of years and have seen the doctor numerous times who can’t really tell me what the problem is. I can go a few days with it feeling better but it always comes back. I just realized last week that I haven’t had a single day of scratchy throat issues since we have been diffusing oils. That was a pleasant surprise that I hadn’t even paid attention to! One other thing that I have loved is that when I have a child that complains of tummy troubles I have started giving them a drop of peppermint oil in a large glass of water and the gurgling and nausea has stopped. It has worked for me too. I am prone to depression and the mood swings and unexplained sadness have become much less frequent for me. Currently my daughter and I are experimenting with Dragon Time for “that time” of the month. We both suffer from cramps and irritability and we both thought that would be a great “try next” experiment. Can’t report much yet, but I am hopeful! Hope that helps! Thank you so much for your willingness to share your personal experiences with essential oils. It’s really, really helpful for people like me who have just had our first EO class & are overwhelmed, skeptical but intrigued. I love young living but they can be quite expensive. My goto is alma naturals. So much easier and safe. I have talked to several people who have had health benefits from Young Life Oils. The oils are said to be high quality (oils are not regulated) not deleted with lesser quality oils. I LOVE my living young oils. I have been using them for two months now and they have been an amazing help with my severe allergies. Feel free to contact me. What do u use for your allergies? and sneezing due to seasonal allergies. I’ve given up taking drugs every day of my life such as Zyrtec. DT breathe did the trick! One drop in my hand and then inhaled gave me relief! Let me know if you’d like more info. We have some seasonal & environmental allergies at our house. Would love some advice on what Young Living oils to use, how to use (diffuser, neat, etc). Thank you! I have recently become a YL member and absolutely love the stuff. I mixed up a pain cream recipe I found on pinterest with Valor, Peppermint and Panaway mixed in coconut oil. My husband and I use it for back and neck pain, and aches in general. We call it magic pain cream, because it works that well for us. I’ve also used Lavender and Peace&Calming in the diffuser and had a great night of sleep. The most economical way to get started is to become a member and get the premium starter kit because it comes with 11 different oils to try and a home diffuser. Can someone please tell me how much carrier oil to use when I mix in my essential oils? if I am using say 5 drops of EO, how much carrier oil (coconut oil, olive oil, grape seed oil, etc) would I use?? No one ever says how much carrier oil they use. For adults, a 2.5% dilution rate is a common one to start with (15 drops per oz of carrier oil) and then you go up from there, adjusting to get the results you want. I usually start with a base of 10 drops per carrier oil myself and then go up. I’m not sure about other oils, but Young Living’s oils have the dilution information on the label of every bottle. I think standard dilution for topical use is 4 drops carrier oil to 1 drop essential oil. It may vary though such as if it is a “hot” oil that is known to irritate skin more than others it might call for more dilution. I do! have been using Young Living for the past 4 years and can honestly say it has been an absolute blessing for my family and I! Please do your research, but this company has the purest, undiluted Essential Oils. Its absolutely crucial to use undiluted oils. You all know don’t you that dt is a breakoff from Young Living Oils. I do. I know all about that. I wouldn’t use either of their oils. Both companies have been warned by the FDA on their practices and those letters can be found online. I wouldn’t trust the FDA, full of corruption and controlled by the pharmaceutical companies. What have you learned about Ameo Essential Oils? I sell Young Living oils and I love them. My family has even taken a trip to their farm to see how the oils are made. I completely trust Young Living oils. Nice post! I just started looking into essential oils in the past few months. The first I purchased was Lavender. No regrets yet and I’m researching Thieves for my next purchase. I’m trying to buy as pure as possible without breaking the bank as well. Thanks for your thoughts! I absolutely adore my lavender oil! Its always helpful at night time, calms the whole family down and we sleep well. I’m just starting to use essential oils. I’m erring on the side of caution and making 3% essential oil ointments with coconut oil as the carrier oil. I made a blend of Lavender, Peppermint and YL’s Raven. I put it on my kids feet and both calmed down within a few minutes! We’ve noticed subtle differences so far, but enough that I’m eager to work with the oils. You might want to do some research on the electrical frequency of essential oils – this is part of what makes the oils so effective in the treatment of many common ailments. The quality is extremely important – Grade A therapeutic quality oils are the best to use. Young Living is a marvelous company with extremely high quality oils. Dr. Gary Young is one of the foremost experts on essential oils and he has compiled a great deal of research and information on their use and effectiveness. Another great company (that doesn’t involve becoming a distributor like many, including YL, do) is Rocky Mountain Essential Oils. I love using oils for health and household. Diffusing them not only makes my home smell wonderful, but the tiny drops of oil dispersed into the air help keep my family healthy. Many oils are safe for use on small children and even babies, which is such a blessing when your little has a stuffy nose or cough. My 16 month old loves having lavender put on his feet – he sticks his little pigs in the air and giggles while I apply the oil. Afterward, he says, “Aahhh.” So cute. My husband was such a skeptic when it comes to essential oils, but I convinced him to use cinnamon bark (diluted with a quality carrier oil), a respiratory blend and an immune building blend to help his sinus infection. Within a day or two he was feeling so much better and within a week, his symptoms were completely gone. Without a trip to the doctor and without an antibiotic. I believe in seeing a medical professional when the situation calls for it, but knowing I can take care of so many of my family’s health needs with essential oils gives me great peace of mind. It’s much easier on the pocketbook than doctor’s visits and prescription medicines, as well. “I believe in seeing a medical professional when the situation calls for it, but knowing I can take care of so many of my family’s health needs with essential oils gives me great peace of mind.” – this is a good balanced view and I’m getting to this point myself. Thanks for sharing your experiences! The frequencey and life source information is actually not backed by science. Dr Pompas has debunked both myths. Just a few places to find out the TRUTH about essential oils. Also, anything dealing with things like frequency, energy, balance, alignment, vibration, etc. are all New Age terms which deal with the occult/pagan practices. Be careful what you are using. Great topic. When is the next post ? Try the stress lotion and breathe lotion from alma naturals. Piper – I don’t know. But I’ll look into it! I’ve been trying to find a reliable non-sponsored online source for this kind of information and just can’t find it. I am thinking that a good aromatherapy book is a better bet when you’re trying to find the right oil for your ailment. I’m putting together a list of those now. Thank you so much for taking the time to check this out for me. dt’s elevation and balance have worked wonders for my anxiety! Wild orange might be a good one to try as well (it is calming and uplifting) I use it in the car to help with driving tension 😉 For seasonal discomfort 2 drops each of lavender, peppermint, and lemon can be ingested (in a gel cap) or put on your hands and inhaled used in a diffuser or put on the bottoms of the feet for little people. Each person responds differently to different oils so if one doesn’t work try a different oil. I use lavender oil when my toddler has a fever (twice) she has been fever free in less than 24 hrs both times!! I tried digestzen on my refluxing 5 mo old, but it didnt seem to help. I have that same hit and miss experience! Lavender and lemon mixed with a carrier oil has reduced fevers in our home. Putting lavender on their feet has also helped my toddler with teething pain – that one I was not expecting to work at all! LOL! I am enjoying your research so far! I do love to learn about oils, but what I don’t love is when spiritual terminology starts popping up in a class or presentation about oils! Don’t get me wrong, I LOVE JESUS! But when I am learning about essential oils, I want science and evidence, so I know how to take care of my hubs and kiddos. I will certainly pray for my fam, but I’d also like to learn how to use my oils properly. I am also a control-freak I think. I want to know where my oils came from, how the plants were chosen, grown, harvested, distilled and bottled. I chose to go with Young Living because they do it all from start to finish and don’t go through oil brokers. I did not choose them because of their religion, although someone’s comment above about Mormonism really surprised me! I thought they must have been talking about some other company! But I did choose them, because I trusted their process. I also was introduced to Thieves oil before I knew anything about the company. My little girl was always catching whatever sick bug came along and for her, it would go to her lungs so fast, and turn into pneumonia, so usually each sickness was costing us $400 for chest x-rays, steroids, breathing treatments, antibiotics, etc… I got a $34 bottle of Thieves oil and that kept us from having to go to urgent care the next time she got sick. And then the next, and here we are 2 and 1/2 years later, and this kiddo has not had to go in for anything! PTL! I agree with the comment above about going to the doctor. I’d like to be able to handle the everyday stuff, and go to the doctor when we need help. I love using essential oils for wellness, but that is just one facet of our well-being. Diet plays an important role in our health as well. ***almost forgot: I wanted to reply to the “hit or miss” comment! Tauna, definitely check out frequencies, that is some awesome info, but also keep in mind that every body is different, even our pH balance is going to be different, which is why lavender and other oils work for differently in each body. And something about lavender, there are 16 varieties of lavender, but only 3 have medicinal qualities, and as you stated before, our government does not regulate this stuff, so it is really important that you know which lavender is being distilled. Lavindin is a hybrid with some medicinal qualities but it is cheaper to grow and produce than others. Happy researching! Thanks for stopping by Lisa and for your comment! I had the same experience with oils, where we kept getting sick and so I tried NAN’s Immune Strength and was truly surprised that it worked at all, let alone so effectively. 🙂 It’s what got me headed down this road! I will check out frequencies as you suggested. Thanks for the tip! Fauna I am commenting about your comments about loving Jesus and questions of Mormonism. Mormonism is not in the Christian religion. They do not believe that Jesus is divine, the Son of God and that He has the power to forgive and give eternal life. They believe they are saved by works and celestial heavens are for Mormons only. Joseph Smith was a member of the Masonic system and Mormonism reflects this in their rituals and secret ceremonies. I have been a member of young living since 1998 and I have heard Gary Young speak several times and spoken to him personally. I do believe by his reference to God that he is Mormon, not that he alludes to being Mormon specifically. That would not be a good business model since the company extends worldwide across all religions. I have been to the oils of scripture seminar that was taught by a Christian pastor. That doesn’t make Gary Youg a Christian either. I use the products as I believe that Natural health is spiritually Biblical, meaning the Holy Bible, not the Book of Mormon. It is easy to get drawn into anything that is not Biblical so we are to rightly divide the word of truth and ask God to give spiritual discernment, as going one degree the wrong direction over time becomes a huge loss of truth. I have friends who were raised Mormons and have accepted Jesus as Lord and Savior and have ministries to people in Mormonism. Ask them to read the Bible for one month and not the Book of Mormon daily and ask God to reveal truth. That is usually all it takes for their spiritual eyes to open to truth. I have never written on a good before but googled whether Gary Young was a Mormon and was brought here. I will continue to use their products because their oils work. Alma Naturals has made it easy for everybody to safely use essential oils without having to do all the research and they are affordable. Changed my life! Their oil blends come in lotions sprays sticks and bath and beauty products. The pain lotion alone has 31 oils. How do you beat that? Never heard of Alma Naturals. Will check it out. Thanks! 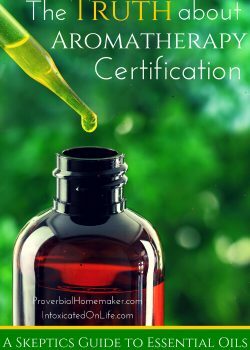 Check out: https://www.aromaticsinternational.com/getting_started to get some great info from a certified aromatherapist and teacher by the few organizations that help to keep standards/etc. Also please check out the works by Robert Tisserand he has the backing of veteran aromatherapists and scientists. Just remember that there are always bad apples in a barrel of good ones. Think critically and do your research, I’m sure you’ll find more good about EO’s than bad. Thanks for your comments! I just found out about hydrosols recently. Great tip on using those for taxed immune systems! I have used a few essential oils but wonder where a person can get some of the better information on usage and dosage and what oils treat what. I seem to only get small tidbits here and there but would love to have access to something more complete. I totally agree. I’m really thinking that getting a good essential oils book that isn’t connected to a company that’s selling oils is the best bet. I think a post about the best online and book sources for EOs is in order! 🙂 I’ll post that URL here once it happens. I too have been looking into essential oil information. I do not want to join an MLM. I love the seminars and information sharing but I do not want the pressure of an MLM or the requirements. Besides the prices in an MLM are always higher to pay different levels of distributors. I settled on Edens Garden. I listened to a lot of videos and read a lot of comparisons and found them to be fair and helpful and very nice people. I got a lot more oils for the price and they are not inferior oils. A great book is Valerie Worwoods, The Complete Guide to Essential Oils and Aromatherapy. 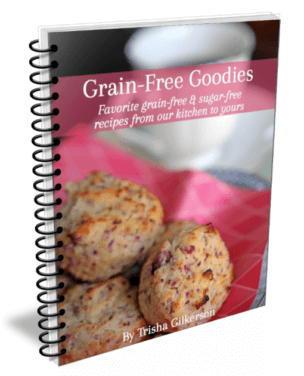 It covers everything with tons of recipes for making your own blends. I also use Pinterest to find just about anything I am looking for. For example, my husband had hiccups last night and was complaining about them. I went to Pinterest, got him a drop of coconut oil and a drop of pepperment essential, he put it on the roof of his mouth and they stopped instantly! It helped him to believe a bit more! Research on youtube and Pinterest. You’ll find tons of info there. A teaspoon of peanut butter will do the same! I have just started learning about EO’s and after studying the properties of some of them, decided to try a roll-on of Frankincense and Myrrh on my Seborrheic Dermatitis (sides of my nose, eyebrows, laugh lines, goatee.) and now for 6 weeks plus have not had to use any of the prescription ointment for it…..I know, in this case EO’s work…..and am planning to try more for other uses! I had no idea that Frankincense was used today until recently. I’ve been testing it out for various things as well. Thanks for the tip! AJ-What brand/where did you get your Frankincense and Myrrh roll-on. I am new to EO and suffer from seborrheic dermatitis and would love some relief with out the prescription ointment. Thanks for any help you could give me. Thanks Kayla! I can’t believe how late I am at getting to some of these comments. Sorry, all! I appreciate your story about NAN here. I have heard a few others like that and it just backs up their integrity and customer focus in my mind. We love love love our essential oils. Thanks for the awesome post and for linking up to Good Tips Tuesday! I love Young Living oils! Peppermint is one if my favs for sinus or stomach issues. Tanna- I, too, am skeptical. I really don’t know who or what to believe anymore. I have several friends that have become Young Living reps, and have some concerns about this company. Read that they told their distributors to “target” church groups since it was a new audience and huge market since Christians are trusting…they would believe anything as long as it’s “in the bible”. That makes me really angry. I know this a pyramind company, so it makes me wonder what’s the motive behind the sale? Greed? or is it truly health and well-being? I know several people in missions/church work that DO make millions of dollars, but choose to limit their income so it’s not a stumbling block for others and because they don’t want it to be about greed and selfish ambitions. Another question I have…who does the research? Does each company do their own research? If not and the research is performed by an outside source, then who funds it? My husband farms and this happens ALL THE TIME in research!!! Companies do this and then scew the results because there is no accountability. Is it true with this, too? I’d like to find a company that isn’t in it for the money but truely for the health of the individual. (Sadly, that’s not even true with doctors and pharmeceutical companies). Anyway, I am a skeptic as well. I WANT to believe they are here for our well-being, but is it just the power of suggestion? That’s what I’d like to know. Thanks for being intentional about finding out good information that is true and accurate. I’m eager to know what you discover!! Hello! I really appreciate your opinions and questions here Debi. I’ve thought on them for a bit because I’ve struggled with them as well. That’s really sad to hear about church groups being a target. A good thing to be aware of. I think it depends on what research you mean. The research I looked for that was done by medical groups mostly focused on the aromatic effects on mood and emotions for people who were ill. I also found some reliable research telling me what the effects of EOs actually are on the brain and body. 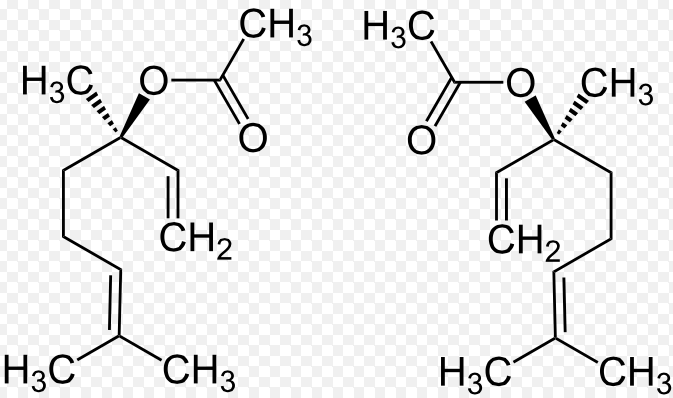 Similarly, there is research done on the main chemical compounds and those papers are relatively easy to find. These research sources have little financial stake in the success of the EO industry, as far as I can tell, so I take them more at face value when they are positive reports. As far as the effects of different essential oils and what ailments/effects they are good for, that is a lot more fuzzy and a lot of that research seems to be more marketing hype than anything else. EO proponents simply don’t have the resources and finances to get that kind of research done, and the medical industry certainly isn’t going to do it for them. As much as I (the skeptic) hate to admit it, looking at the high number of positive anecdotes and just trying it out for yourself seem to be the best way to find out if they actually work. I touch on some of the issues he and others have found with adulteration of oils and skewing of the tests for purity. There’s a whole ball of wax there. Yes, I think it’s probably similar to the pharmaceuticals mess in that way. I feel comfortable with trusting (with a grain of salt) NAN as a company because of their reputation and the owner’s frankness about all the issues you mentioned. Companies always want to sell their stuff. That’s the nature of the beast. But that doesn’t negate the value in essential oils if you can manage to cut through all the fluff and apply wisdom in your purchases and usage. All of these points were exactly why I was skeptical for a long time! I didn’t like the “voodoo” feel and the claims that this one is the best because this, and that company is the ONLY one who provides this or that or the other! That is all the marketing part of a business (which to be honest, I don’t care really if other people want to use oils or not, I have had a few friends interested and ask questions just because they know I use them). When it all came down to my decision, I knew from experience that doctors are very important for life threatening illnesses and accidents but they don’t have much for answers when it comes to day in and day out ailments that our household of seven deals with regularly. I am convinced that I can help my family and that was my main concern. I wanted to find a product that was time tested and pure and my research led me to Young Living. I don’t get into the new age stuff because I have a belief system and we have a strong faith in our home and don’t need spiritual answers. We already have THE answer in that area. I think for each person we have to determine the reason we are looking for EOs and go with our gut. You are the one who knows your family best. Tauna, I commend you for taking up this task of helping to inform…with so many companies out there competing I am sure you will get a lot of opinions on who has the best products. You are a brave lady! Thanks Jody! I appreciate your perspective and your belief that I’m brave. 😉 Thanks for stopping by! I am new to using Essential Oils since the start of the year, and I really like the results we’ve had. I appreciate your very balanced approach to using oils (especially caution with ingesting them). I’ve been using Plant Therapy (www.planttherapy.com) I find their prices to be very reasonable and the information they share to be very safe and cautious — along with the fact that they have very high quality oils, blends, and even pre-diluted roll ons. They also have a great list of oils that are safe to use on kids ages 2-6 (as there are some very common oils that can cause breathing problems, etc. with young kiddos and should be avoided) for a variety of problems. Thanks for a great review of using EOs for a beginning. I’ll be sharing this with a friend just getting started. Thanks Megan! I’m glad you are finding it helpful and I appreciate hearing about your story! I also was skeptical but decided enough people I knew and trusted had tried them with great success. I could go on and on with testimonials about how it has helped real, true conditions( not placebo effect) for us but the most dramatic being Frankinsince applied 2x daily for two weeks eliminated a precancerous skin lesion that my doctor insisted had to be cut off right away. We can’t even find the spot now. 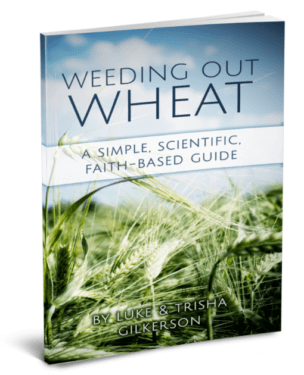 The Bible tells us in Ephesians how God has given us everything we need for health from the plants of the earth. These oils are so valuable that they were brought to Christ. I would suggest you try one good pure company and decide for yourself. Hey! I’d LOVE to help anybody interested in earning more about essential oils! They are amazing! Reminds me of a modern day pyramid scheme victimizing people who don’t know any better. I have quite a few books on essential oils and my favorites are: The Complete Book of Essential Oils & Aromatherapy by Valerie Ann Worwood and The Complete Illustrated Guide to Aromatherapy by Julia Lawless. I am fairly new to essential oils and began reading/researching them before purchasing. I am now a very enthusiastic devoteé! It’s true there are many companies and not all have 100% pure, therapeutic-grade oils, which is critical when using for health. After trying quite a few, I prefer Native American Nutritional’s, Mountain Rose Herbs (especially when ordering larger quantities) and Ananda Apothecary. Looking forward to future posts! Thanks Stephanie for the resource recommendations! OK, just getting on board with EO’s because a friend gave me a box of Plant Therapy, so this is how I started slowly…. Then I got to researching & a friend uses YL Oils & saw lots of results with her, & bought the kit from her down line Now I still have a Question of whether to Ingest the oils or Not??? LOL! I know Pam – it can be ridiculously confusing to sift through all the info out there, right? I feel your pain. Rocky Mountain Oils has the same owner as NAN and they decided to keep both sides up but I believe they will be coming out with unified labeling soon. I am going to call them today and check on that and also see if they are selling exactly the same oils or if there is some difference. I’ll comment here with the answers I get. The deals you mentioned sound kind of awesome! If they are selling the exact same oils, I’d follow both companies and shop their sales. Paul from NAN got back to me. Rocky Mountain Oils and NAN merged but are operating the companies simultaneously for logistical reasons (from what I understand). They both sell exactly the same oils, so I am gong to check those sales at RMO! They had started moving to using all RMO labels on their products (so you still might get those labels when purchasing through NAN) but have since decided to keep the brands separate and will be going back to separate labels. Hope that helps! Regarding ingesting…1) I believe Paul at NAN really knows what he is talking about so I trust him and am extremely skeptical when it comes to the multi-level marketing companies pushing their customers to ingest (use more = buy more = more money for them). What I’ve read in my research absolutely agrees with what Paul at NAN has told you. I’ve read from other sources that: Yes, IF the oils are pure, therapeutic grade, SOME are okay to ingest. However, it is the least effective way to get the oils into your body. Inhaling is the quickest way, as it goes straight to your brain into the limbic system. The second best way is via topical application. Since our skin is our biggest organ, the therapeutic properties are taken in and absorbed. When they’re ingested, certain oils can cause damage to your stomach as they are so strong, and because they have to travel through the digestive system and come into contact with gastric acids, etc., much of the therapeutic quality is diminished. This makes complete sense to me, as it did my nurse/chemistry teacher friend I consulted with. I HAVE used fennel and ginger oils (1 drop each) in a cup of hot water w/honey, and it did help my stomach issues. However, I have also tried one drop of grapefruit oil in my water. Though it tasted great, it caused stomach pain for me. I’m sorry for such a lengthy comment, but I want to add something else. As I stated in a previous post, I purchase from Mountain Rose Herbs, Native American Nutritionals, and Ananda. However, I joined a FB group that was created specifically for one of those MLM companies. I want to learn all I can. I was appalled the other day when some mothers were discussing using oils on a 4-month old baby….and it was clear that they had not done their research but rather were just going on what they’ve been told. Which, by the way, differed amongst them. According to them, you can pretty much use whatever on your baby, and it’s okay because, said one: “These oils were created to be inhaled, ingested and used topically.” What?! So they believe that their MLM company CREATED the oils? I’ll restrain myself from going on a tangent here, but that frightens me. These oils are very powerful and should be used with great caution. That these particular companies are urging their customers to use their oils so liberally without becoming informed and educated about them is dangerous. Ok, I have another question If they are 100% pure oils, then on the blends like tummy rub has wild fractionated Coconut Oil So what percent is filler or base??? also like on Vision it doesn’t say 100%, just says theraputic grade & with base of jojoba… just confused I ask this because I found this Info on your site??????? Thanks Why is it so important to buy high quality oils? Higher quality organic oils will do a few things for you: A bottle lasts much longer because it’s not “watered-down” with fillers. The oil is pure, and so no additives are absorbed into your body. You also get a better value than when buying low-quality oils because a little of the oil lasts much longer (no fillers) and is more potent (higher therapeutic value). No problem! Many of the NAN blends use a base like fractionated coconut oil. Many do them do not, like Immune Strength. They are obviously not hiding anything and the presence of carrier oil is reflected in the price point as well. I’ll ask for more info on why some of them include carrier oils. I’m not sure what you mean about the Vision oil. The listing I saw on their site doesn’t say 100% pure and it doesn’t say “therapeutic grade” either. It also includes a coconut oil carrier and not jojoba. Could you leave me a link to what you’re looking at there? For information on the purity and sourcing of NAN oils, be sure to check out their “about” pages. I just went & looked on site & it says different from bottle???? I am so sorry for the delay. I called Paul about the base oil issue and he says they provide those on the site because other companies offer similar blends with carrier oils and people seemed to want them that way because “that’s what they’re used to” as far as usage and price. They do offer neat (no base oil) versions. I agree that’s strange that your bottle says something different than what’s on the site. I can’t really help you with that one. I suggest contacting NAN customer support and asking them. Let us know what you find out! Thank you for this fabulous article! Check out http://www.apothecarysociety.com or email me at [email protected] to request an invitation. Glad to hear another person taking a slow and steady approach to essential oils. If you truly want a great education with essential oils please check out the few boards that try to keep the industry ethical and educated: NAHA -> National Association for Holistic Aromatherapy, AIA ->Alliance of International Aromatherapists (these are great for us in USA, but a few others that will be mentioned in Australia or Europe). These boards will let you know what schools or aromatherapists are in your area (or online that have met their educational standards)! I personally LOVE EO’s, have fun learning and exploring the EO world! I’m just learning about essentials as well and was thrilled to come across your research!! Thanks!!! Hi– I would love to share my experience with Young Living Essential Oils– I am a retired RN– I thought that a “pill” could help with any kind of health issue. I developed Diabetes and was on Insulin for about 6 months until I could no longer afford it– it had gone up in price twice in that period of time. I have no insurance and had to find another way. So, someone mentioned YL oils so I tried them. Within a week and a half I was weaned off of my insulin! Some of the oils are pricey but my health and the health of my family and friends is more important– I now use 1 drop of oil on my wrists twice a day and my sugars are more stable than when I was on insulin! The same oil has also gotten me off of my high B/P pills too!! I used to pay $300.00/month for my insulin, I now pay $34.75/month and a bottle lasts me about 3 months. And I’m not even talking about my B/P pills and what that is saving me!! My husband is off of his Thyroid pills, my SIL has cut her need for narcotic pain pills to a half, my son no longer needs his Asthma inhalers, my DIL no longer needs her sleeping pills, grandbabies sleep through the night!! I could go on and on. I realize we are all different and what works for me may not work for you, same as with pills. You pay for the QUALITY of the oils– YL has been in business for 20 years– no other company can say that!! If you are wondering how these amazing oils could help you or your family, I would be more than happy to answer any questions you may have. Thanks and be well! I would like to know what you used for your son’s Asthma. I also have Asthma and use inhalers. I also have COPD. Can you share what oils you and your family have used to come off of the prescriptions? Particularly for Asthma, pain relief and thyroid? I’m new to EO and these are areas I’m wanting to address. Thank you! Why is your Skeptic article under Young Living Essential Oils on Pinterest if you don’t use them??? Hi! If you found it on Pinterest under someone’s Young Living board they probably just thought it was an interesting article. I didn’t personally put it there. 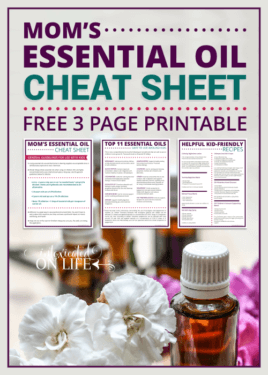 🙂 I will say that I often put YL and other articles in my own essential oils board on Pinterest because many times the information is still just as usable to me even though I’m using different oils! Oh– Sorry I jumped the gun! Thanks for posting a response!! Am so glad your essential oils are working for you! If you’re like me you want to share with everyone! They are wonderful! Thanks! I actually have never seen them run out, so I’m not sure how quickly they restock. I imagine they anticipate a run on those main oils this time of year, but I’m curios now to and so I’ll email to ask them and get back to you. I like it as well but for different purposes. It puts a LOT of oil in the air very quickly, so I use it for short bursts in bedrooms when treating sickness. It doesn’t have a timer (although I think pricier versions do) so I have to be really diligent and not leave it on or it will blow through oils very fast. It’s also not as convenient as far as putting the oil jars on and off (you twist the jar onto the diffuser spout). What it does offer is a way to get the most amount of oils in the air quickly by blowing the oil into a fine mist – there’s no water or heat involved. I like essential oils and have had some success with them. However, as a christian I had a hard time ordering them- they are a huge part of the new age culture and are promoted that way. Now saying that, I can’t avoid every unbiblical company without moving off grid. But some of these seem to particularly target christian groups and I’ve seen some christian women led astray. After painful research (and not wanting to give up on eo). I finally found a quality company that does not promote any new age ext. Even their descriptions are health based only. I now can feel comfortable ordering. Heritage essential oils. They don’t have a seller program, I don’t sell them, not affiliated- just where I cam to in my research. For those uncomfortable ordering from other companies, this might be helpful. Hi. My step-sister introduced me to EO just this Summer. She had started using them, and gave me some samples. My oldest daughter suffers from frequent headaches. One day when she came down with one of these headaches, I encouraged her to try the YL peppermint EO sample that I had. I applied it to her temples, between her eyebrows, and just below her nose above her lip, and told her to go lie down. Usually when she has one of her headaches, after taking oral medication and resting, she doesn’t get over it until about a couple of hours later. Well, with the peppermint EO, she was up and back to herself within about 20 minutes. No kidding! I was amazed! So I bought my first bottle that week. After that, I did more research, because, like you, I am a born skeptic. Science and recorded data (and TIME) talks to me, not people. I want PROOF, not a sermon. Yes, I believe God created these herbs and gave us the know-how of making them into oils…but you need to prove to me that you know what they’re good for before I spend my hard earned cash on them!! I digress. I have noticed that several people who have posted on this site have had success stories concerning EO. Some have had better cholesterol scores with the use of EO. Some had better blood sugar, etc.., but those who posted this great news didn’t post the specific oils that provided this AWESOME result. Share it with the world people!!! 🙂 Tauna, I would love to know tons more about the various kinds of essential oils…more specifically, each oil & oil blend’s wide array of uses and “supposed” cures. I am not “loyal” to one brand. I am loyal to a good product at a good price. (Aren’t we all?!) So, any help would be very much appreciated. What oils have you found to be “the best”, and what did they do for you? Be specific. I’m not talking brands here. I’m talking oils. What to buy, and what is a complete waste of money? Love your post Tauna! Very informative. Can’t wait to read more of what you learn about all this EO stuff. Thanks!!! I have a friend who frequently gets migraines so I made her up a little blend – lavender, peppermint… And maybe eucalyptus and rosemary? Diluted it in fractionated coconut oil and she used it on her temples/back of neck. Felt like she had a migraines coming on but used this for a few days and no migraine came! (If anyone is interested I can check my notes to see the exact blend – she usually sleeps off a migraine so i tried to dull down stimulating peppermint with a few more relaxing oils). I’m glad peppermint oil helped your daughter – we were sceptical but I had the oils (I use them in soapmaking) so figured it can’t hurt to try! I had a large abcess on my leg and was using essential oils on it. After a few days I went to a walk in clinic. The doctor said “I dont know what youre doing but whatever it is is working. I can see wherr its shrinking it.” She didnt feel it would be necessary to drain it. But, being impatient, i asked her to just drain it. A HUGE mistake. Thr infection got works about half of my lower leg began turning red and hot. I pulled the packing out, poured lavender and Frankincense into the abcess and in 6 hours all redness was gone. In 2 days it was healed. I think there is something to some oils, but I think that many believers are putting WAY too much faith in them and getting involved in pyramid schemes that are making them people that others do not want to be around or listen to. No one wants their friends trying to sell them things to make money off of them. There are way too many people going around selling oils they don’t know anything about except by hearsay. Oils are either drugs, or snake oils (possibly a mix of both). If they are effective “drugs”, then people need to be schooled (not by the company pushing them) on the products before using them at all and if they are snake oils, then your friends are doing you a huge financial disservice and cannot be trusted. I think these pyramid schemes are not good for Christian fellowship and if you want to try oil, buy from a legitimate company that doesn’t require you to sell for them. Easy money is not honest money! For instance, grapefruit juice interferes with some medications – does grapefruit EO do the same when ingested? I don’t know the answer but I have never seen this mentioned (or similar situations) when I read blogs advocating the use of EOs as cure-alls – and (so far) they are always affiliated with an MLM. I purchase my oils from a company that mainly does EOs, sells large quantities (I use them in soapmaking so buy 100ml or more at a time) and explains the differences in grades/extraction methods (steam distillation vs co2 vs solvent), offers a variety of oils and often from different countries – which helps them to keep certain oils in stock, as well as offering a local option and economy option (sandalwood springs to mind!!). Being an online only company, rather than MLM, means I can buy 100mL of peppermint oil for as little as $12.50 – or an Australian grown peppermint oil for $25… Pure, “therapeutic grade” oils. Thanks for your article, I am looking forwards to reading the rest of your series!! Hi, I am just getting into soapmaking and am looking for a good supplier with oils of reliable quality, would you be willing to share who you buy from? Thanks in advance! I totally agree! There is some truth buried in usage but I think people are being misled due to money. Many people I’ve dealt with at YL were so pushy to get you to buy, with little regard to your questions being asked. Whatever you were interested in was “perfect! That will work for you! Buy two because you will love it so much and it goes out of stock!” I don’t know how these people sleep at night. You should feel support and treated like you have worth, not to hand over all your money. Hey there! Just read your article and I really like it. I was a little scared to read it because there is sooooooo much information out there on oils and the private companies really will say anything to make you believe theirs are the best and it’s so hard to really know just on instinct. I read most of this and the oils you were researching and I don’t believe I saw you mention anything about Young Living Essential Oils….? If you haven’t heard of them or tried them yet I strongly encourage you to! I have been using Young Living’s products for 7 years now, and despite the prices, I live by these oils because they really do hold the highest value then anything else I have ever been exposed to. I haven’t taken any types of advil/tylenol/ibuprofen/etc. in yeears! And I have not been sick, in about three years now. Maybe the sniffles here and there, but with the oils it will last half the time it used to years ago. And Young Living also just has a lot of information on their oils; documentaries, books, audio recordings and such. They are the one and only company, I believe so but dont quote me, that own their own farms and distillaries. But they have information from seed to seal on their products and a Desk reference book that is published through a science publishing company. It’s Youngliving.org! Go check em out! And thank you for writing this blog!!! Young Living all the way for me! I went to school with your husband many years ago, and I found the link for this on his Facebook page. I was once skeptical as well, so I had to check this out! You have done an amazing job on pulling together a balanced view of approaching essential oils, which is very needed because of all the fluff and pseudoscience surrounding natural medicine in general. Essential oils are amazing, and more people need to know about the bottom line. I learned about them when I was struggling to find a solution for deodorant, because I seem to be allergic to every kind I have ever tried, and the more natural, hypoallergenic brands just were not working. After research, I came up with a mix that worked perfectly. I also use lavender and Melaleuca frequently for minor antibacterial applications on myself and my family, though none of us are wild about the scent! 🙂 Great article. How fun! Thanks for the comment Jennifer. 🙂 I would LOVE to now what the perfect mix is, and I’m sure others would as well! Care to share it? I’ve been a Chiropractor for 15 years. Like many people above, I like the science that I can grasp tangibly. My focus is helping people with ADHD get their life back. Since the last several months we’ve began using more EO’s in our office with our clients. In addition to a multitude of best practices from medical, neurology, nutrition, cognitive, behavior modification, coaching, and Chiropractic – we;ve seen incredible results. I’ve been using a personal blend of 5 different DT oils on our ADHD patients ( reflexology – big toe and instep – brain/spine ) => it’s amazing to see the difference our program makes. I am confident enough about the oils that Im speaking to 100+ audience this weekend at a DT event about our results. We also use a diffuser in the office as well as an air purifier. I can assure you that the parents are excited about the oils. Dr. Erik, I am really interested to know what 5 oils you are using for ADHD patients. How much money has essential oils brought in for 2014? I don’t know. I’m sure it’s a booming business. 🙂 It would be interesting to look up. I think everyone should be looking into essential oils. I am a registered nurse, and I became interested after years of watching so many people deal with one medication to treat side affects of another medication. I think it is time to treat different problems the way our ancestors did years ago. For my kids I only apply lavender, lemon, and (most recently) geranium topically for babies starting around 3m. I’m sure there are a few others, but those are what I have that I’m comfortable with based on my research. I will also diffuse lavender, lemon, and immune strength. Once they get to be about 1 years old I start using more on them. I do avoid eucalyptus globulous altogether for the 3 and under crowd, but I will diffuse eucalyptus citriodora once they get to that age. hello I am surprised to see no one has mentioned the amazing company goDesana. After doing my research last year it was easy for me to see that the two most popular EO companies were up to bat against each other and I didn’t want to be part of such a controversial debate. I have been amazed of the quality and results from goDesana. Our family no longer requires otc medications and we have been able to conquer many health challenges thanks to this amazing company. I just have a question…I currently use YL oils, but am disappointed in some of their customer service. I was looking into other oils. Do you use Native American Nutritionals? If so, why? I read another article where a lady did some extensive research and picked those as her number 1. I went on their website and was very happy with what I found. Also, do you ingest them? There is only 1 company that has the seed to seal process and that is Young Living. They have been around for over 20 years. NO OTHER OIL brand owns their own farms and does their own distilling. Open door, walk in and watch the sterile environment where these oils never touch anything but glass and stainless steel. Far and above safer than the rest. Only company with Sacred Frankincense. These trees are in a remote area where only Young Living has made relationships with the people of this region. Young living staffs a lot of different doctors including phd’s. They are the real deal. This is a very interesting article that just barely touches the tip of the “iceberg”, so to speak. More of us are learning the basics of them, and, I believe, are discovering the importance of using them over the pharmaceutical/chemical group that is traditional. Young Living is the best company there is- just do a “sniff test”- compare them with other companies and you will see the potency of Young Living far outshines any other. The additional “seed to product” is what brings it all home! I love Essential Oils, Thieves is my favorite oil, keeps me away from doctors. I have horrible migraines and use Peppermint a lot and deep relief is a roller for my sore neck muscles. I use raven and rc for my allergies when it gets in my chest. My eye was hurting and knew I had infection or pink eye, put Melrose and in 4 days no pain or redness . I used it under my eye with coconut oil. Never in the eye or ears directly. I truly believe in Young Living, great company, can visit farms anytime and you know exactly where your oils come from. We are the oldest company and yes you can take them internally. for ADDH, Vetiver, lavender, citrus fresh, ruta vala, traunquil, ledum, clarity and brain power. look me up krystal knight Wallace on facebook, love to help you get oils for focusing and attention problems. Oils work!!!! I have very happily been using Edens Garden oils for three years. I’ve not been unhappy with any of the single oils and unhappy only with one blend I’ve purchased from them! As a user for that long I recommend them to everyone I know who asks about oils. I don’t understand it. Isn’t there enough crap going on in the world? Why the fuss and hate over EO brands? I use do terra and love it. My guess is living young as well as some others are just as good. Since they are to be used for wellness can’t we cut the bashing and promote the general idea of good? I used to use Young Living oils (and technically am still a “distributor”), but have switched to Heritage Essential Oils (www.heritageessentialoils.com) which is currently in the process of changing their name to Hopewell Essential Oils because they couldn’t trademark their original name. I chose them because the company is run by a Christian family who is very honest and transparent about their products, they have excellent customer service and clearly care about people, they post customer testimonials on their website with each oil and oil blend so you can utilize other people’s feedback, their prices are considerably less than YL/dT, they have flat rate shipping of $6 for all orders, and from my research and personal experience, I believe their oils are extremely high quality. I’m so happy to have found a great, NON-multi-level marketing company! I am glad that more people are talking about alternatives to Western medicine, such as Essential Oils. 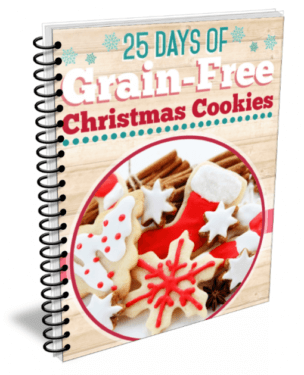 They are a great way to achieve results without ingesting harmful chemicals. However, please be sure to understand that not all essential oils are created equally. I use Young Living and here is why. First, even if it states that it is therapeutic grade, look to see if there is an expiration date or if the label states “Do not ingest.” If you read this on the label, put the bottle of oil down and walk away. Only chemically altered oils have an expiration date or may not be ingested. (Hint: Even if all you do is breathe these oils or put them on your skin, they get into your bloodstream. That is still a form of ingesting.) Young Living oils are truly pure and therapeutic grade. They test and independently test all oils. No other company at all can say that! Let’s talk about how I can help you on your journey to wellness. I also send members of my team free products to help you get started. To test your essential oil to see how “pure” it is, put a single drop of it on a piece of construction paper. If it evaporates quickly and leaves no noticeable ring, it is pure. If you have a ring left, then it is likely diluted by the manufacturer with an oil of some sort (this test will not work for myrrh, patchouli, and absolutes). I have started using Edens Garden EO and have had no problems with them at all ! Love them ! I just heard about EO from my daughter. I am allergic to so many things, peanuts, tree nuts, shellfish. 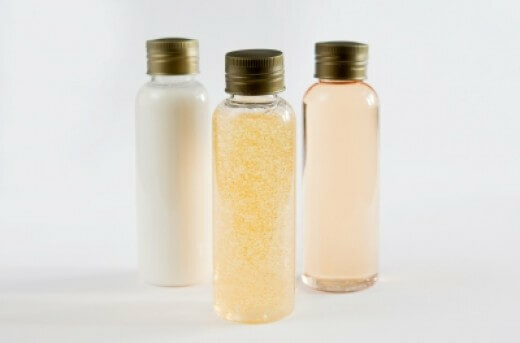 sulfur drugs, detergents, soaps, cosmetics. I breaks out, have blisters in my mouth and have stopped breathing and/or passed out. From any of these things and maybe more. I have stomach problems, indigestion, gas. Doctors have tested me and say they don’t find these to be true or else they must see the reaction. Are there EOs that might help me. The older I get the worse I have become. You know, I’ve never researched essential oils for severe allergies like that. I would consider finding a holistic doctor or naturopath and digging into essential oils more for these issues. I am so sorry you are going through that! I have been using oils for about 6 months. I have used a recipe for a recuperating meniscus surgery. That has helped tremendously where is no other medication has done the same. I am looking forward to the rest of your research on the subject of oils. Um…. Thank you so much for your post! It’s very clear, detail and helpful. I love your questions at the beginning. They are very wise and thorough, some are the same as what I’m wondering. It really helps a lot for my EO journey. Looking for more posts from you. I make translate to Indonesian. Thanks for your great article. Excellent intro review. Technical but in plain language and a level headed approach to the decision about essential oil use! I’m not sure about what type of diffuser or oils you’ve been using, but maybe it’s the oils you’re using that are causing a problem? I’d be sure to thoroughly research any oils you use with your mom (I really like this book a lot) and you might want to talk with her doctor as well. Very informative article. I’m somewhat skeptical of the oils and they’re uses other than the typical eucalyptus as you stated, but am about to try a couple samples for help with relaxation. I guess what is probably making me the most skeptical is the strange places I’ve seen for placement if the oils for various ailments. Places like the base of the pinky toe for I think it said breast health or something. Or the bottom of tge bug toe to aid in digestion, etc. Can you explain this in further detail?